Fanta is one of the coolest drinks which have been my favorite since childhood. It was called "Gold Spot" in India way back in 1980's and later Coca Cola named it Fanta. When I was in London, I saw Fanta available in different flavors from Original Orange to pineapple to berries. In Fanta's World, Fun is Guaranteed and that's the summary of this story which I am about to share. Coming back to the real life story of how the movie experience became a once in a lifetime opportunity for me started with a phone call to inquire about the address. I was told that an invite will be given in person to the Trolls movie at SterKinekor, Sandton City on 19th Oct. I was waiting as it was a festive season and here comes the invite by none other than the celebrity Khanya Mkangisa. 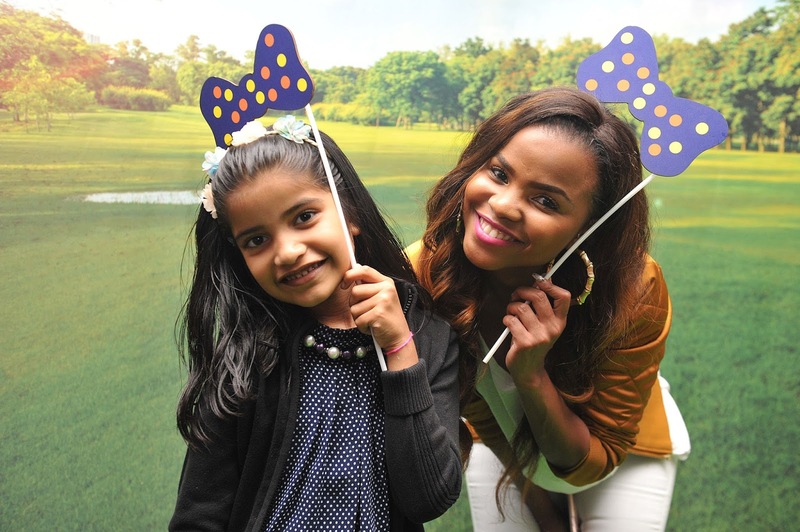 She came along with her team and immediately we started creating #FantaPhotoBomb. Khanya is the Top Billing star on SABC3. Fanta invite included Fanta tshirt for myself and my daughter along with a diary and lunch cover and Fanta Cap. Also included was the tangy tasty chilled 6 cans of Fanta Orange for myself and my friends. My daugher was delighted to receive the tshirt in Orange color. Came the day when it was the launch show of movie Trolls, and my wife has a religious annual fasting and said she won't be able to go. I had to convince her that the moon will come late around 10pm that day and movie will end around 930 giving us sufficient time to reach home and do the ceremonies etc. After a lot of convincing, we all reached the venue and took some photos at the photo booth with none other than Khanya Mkangisa. She loved my daughter and shared her photo on her instagram page too. As we took our popcorns, Cadbury's Whispers and Fanta, ofcourse we made our way to the movie hall where to our surprise every seat has A4 envelops underneath our seats. Soon Khanya introduced the movie and asked us to open our envelops and told that 4 of which has special letter or rewards hidden. As I opened mines, it contained a letter saying that I am a WINNER! I felt so great but didn't know what was the mystery prize. 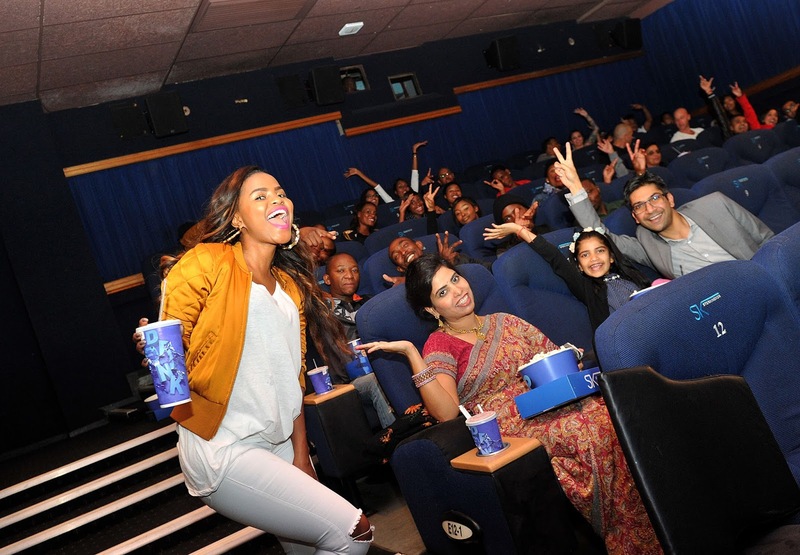 Another icing on the cake, Khanya mentioned is that each and every invitee is a winner as they will all receive a goodies bag at the end of the movie. The movie started after the same with a bang! Trolls movie was all colorful with hope, dreams, leadership, love and sacrifice. My family thoroughly enjoyed the movie. The movie took its twists and turns as I held my winners letter to my heart. As soon as the movie ended, I rushed towards the door to collect my prize but then I held back as I wanted my daughter to collect my prize. Meanwhile other 2 winners took their prizes and when I reached the third one had a choice to choose between two packets and he chose the bigger looking packet. He was delighted to open the packet and won himself an INSTAX Camera and immediately started taking pictures. I had no option as the last sealed packet was mine and the lady said, Congratulations!!! You got a phone! I was overjoyed as I always wanted to win a phone but never ever won so before. It was a Samsung A5 (2016) edition smartphone and I was so happy when I opened it at home. The goodies bag also contained the Camera Lenses (Fish eye, Macro, Landscape) which I always wanted along with 2 cans of Fanta and colored straws. It was a night where all my dreams came true. 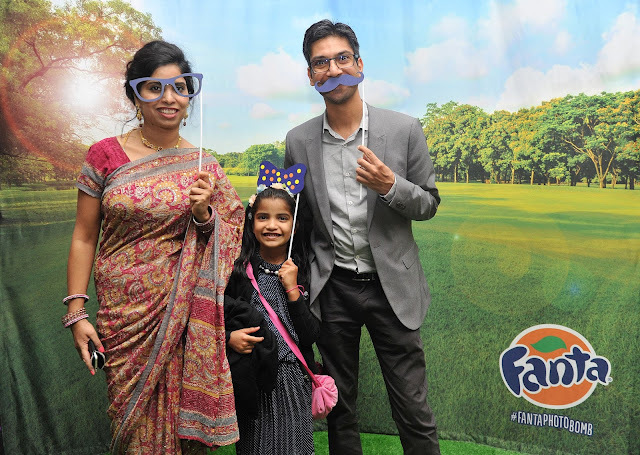 Thanks to Fanta for the invite and meanwhile after a week on Halloween my daughter again received a Princess dress along with a photo frame and 24 cans of Fanta Orange. She was more than happy and enjoyed wearing the dress on her friends birthday. I am really grateful to each and every person from Fanta to make #FantaPhotoBomb happen in my life with a bang! I can never forget this experience ever and looking forward to create some more #FantaPhotoBomb expressions and show them on my instagram channel. 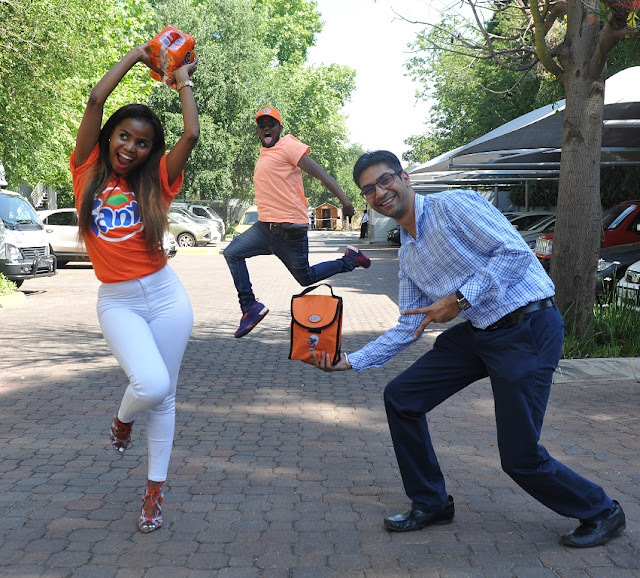 You too can create your own #FantaPhotoBomb by using the printed cans of Fanta and making a story out of the same! Follow them on twitter and instagram.